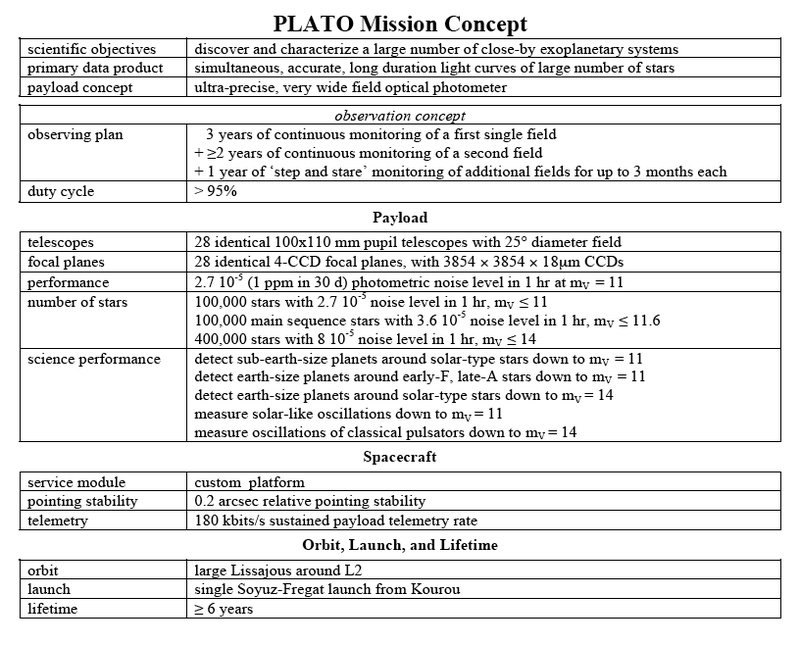 PLATO is one of the four M-class mission proposals selected for an assessment study phase, to be conducted in 2008/2009. This study is currently in progress. A first assessment study conducted by the Concurrent Design Facility (CDF) at ESTEC has just been completed. The mission and instrument concepts presented here are the result of this first analysis. PLATO (PLAnetary Transits and Oscillations of stars) is a proposal submitted in response to the ESA Cosmic Vision 2015 - 2025 announcement of opportunity. Its objective is to detect and characterize exoplanets by means of their transit signature in front of a very large sample of bright stars, and measure the seismic oscillations of the parent stars orbited by these planets in order to understand the properties of the exoplanetary systems. - it will be capable of observing significantly smaller exoplanets, as well as planets orbiting hotter stars. 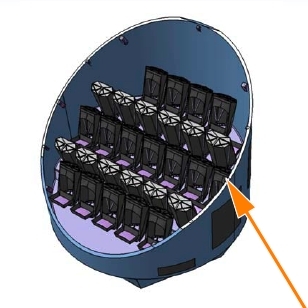 The PLATO payload will include an ensemble of 28 identical small, very wide-field telescopes, assembled on a single platform and all looking at the same 25° diameter field. Each one of these 100mm pupil telescopes has its own CCD focal plane, comprised of 4 CCDs with 3854 x 3854 pixels of 18 microns. The observing program will include two successive very long monitoring phases of about 3 years each on two different 550 sq deg fields, followed by a one-year long step & stare phase during which different fields will be monitored for up to 3 months each, giving also the opportunity to come back to the fields already surveyed in the to initial phases, in order to confirm long period exoplanets. The assumed mission nominal lifetime is 6 years. PLATO will be launched and injected into an L2 orbit by a Soyuz-Fregat rocket. Every three months, the satellite will be rotated by 90° around the line of sight, in order to keep the solar panels and the sunshade oriented toward the sun. - a photometric noise level below 3.6 x 10-5 per hour (equivalent to 1.3 ppm in one month) will be reached for nearly 100,000 main sequence stars, down to about mV=11.6 - as a comparison, Kepler will provide the same level of noise for about 15,000 stars. - up to 4 additional 550 deg2 fields will be surveyed for up to 3 months each in a subsequent one-year step&stare phase. These estimated performances meet the basic requirements of the proposed mission. The space-based observations will be complemented by ground- and space-based follow-up observations; for instance spectroscopic measurements of radial velocities of the detected exoplanetary systems will be obtained to derive the planet masses; differential visible and infrared spectroscopy during and outside secondary transit will also be performed, in particular with JWST, in order to derive information on the exoplanet atmospheres. 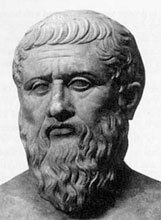 An ancillary scientific outcome of PLATO will be an unprecedented database for the study of variable stars and stellar internal structure and evolution using asteroseismology down to ppm level, on all time scales from seconds to years, on all types of stars.